Saturday, 9 March 2019, dawned clear but clouds began appearing soon afterwards with a forecast of overcast sky for the night. I attended a planned star party at Oracle State Park that night. See my report for what happened. The sky dawned cloudy on Sunday, 10 March, but began clearing mid-morning, with a clear sky forecast for the night before the next storm was due to arrive on Monday, 11 March. Another forecast had it raining Sunday night. The sky began clouding up again mid-day with increasing wind. The sky was partly cloudy at sunset but still very windy. Monday, 11 March, dawned cloudy and windy. The storm system arrived overnight with 0.39" rain on Tuesday, 12 March. Wednesday, 13 March, was cloudy and still windy with brief periods of rain (0.02"). Thursday, 14 March, was clear and calm with a clear sky forecast for the night. SYNCed observatory clock to WWV time signals. 1820 MST: LX600 ON, StarLock OFF, High Precision OFF. 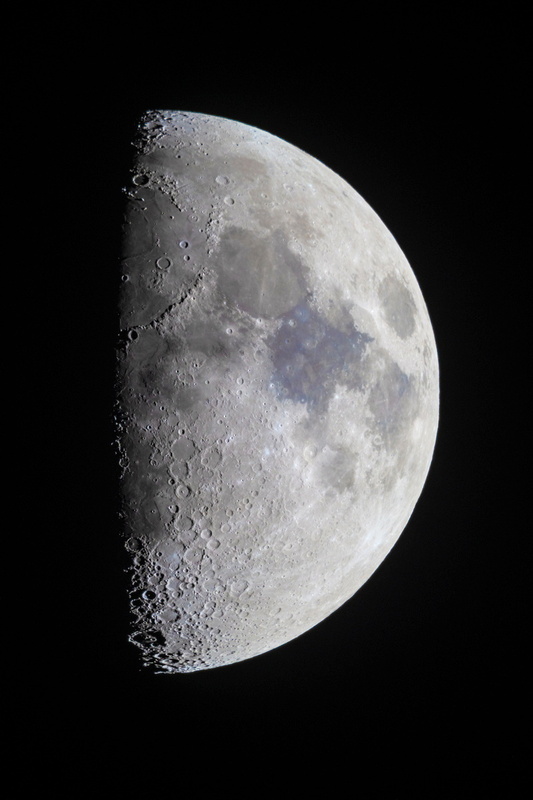 1827 MST: viewed the just past First Quarter Moon, 102X and 406X. Lots of nice sights, especially along the terminator. 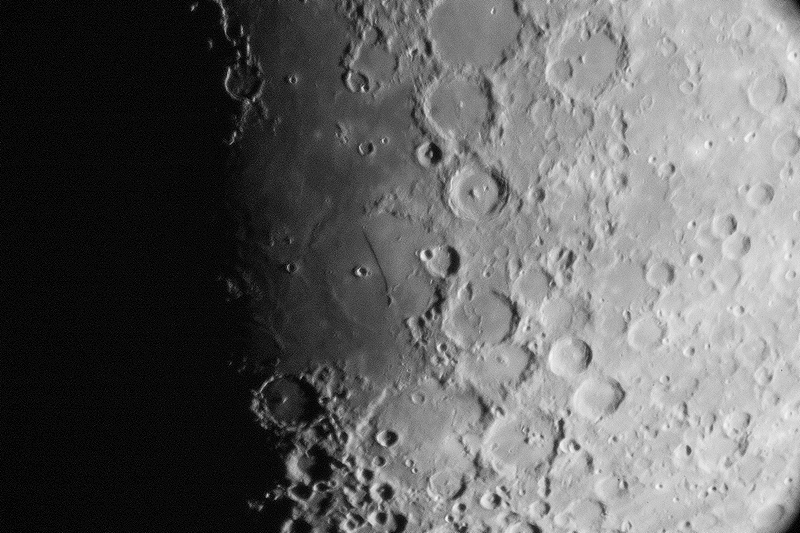 Removed the camera and did some lunar observing, 406X. 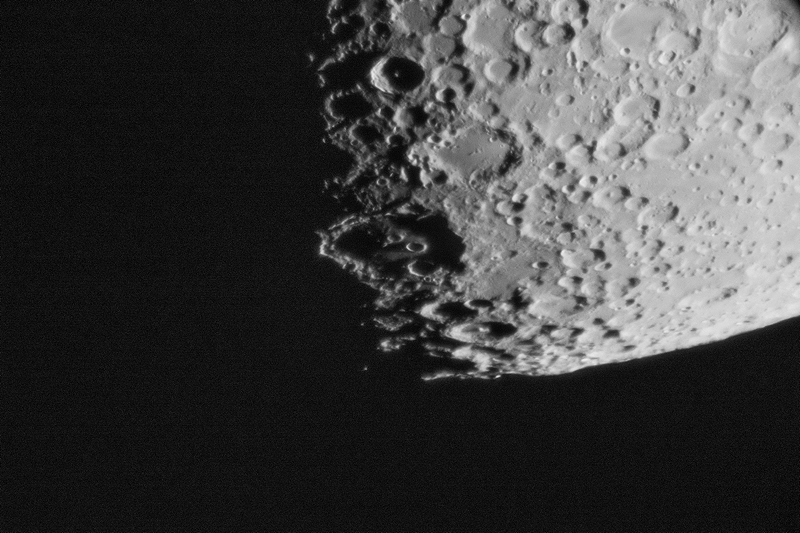 1919 MST: ended lunar observing. Viewed M42 (the Great Nebula in Orion), 102X. The Trapezium star cluster was very nice. 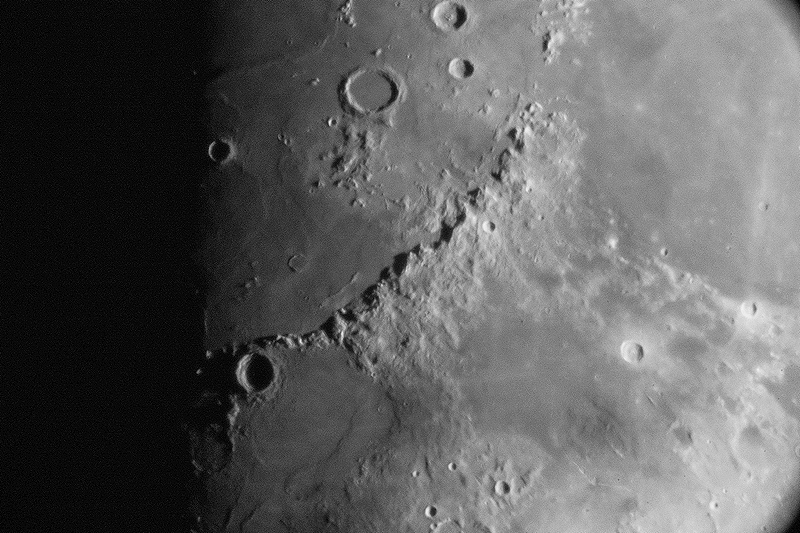 Some nebulosity was visible but the nearby bright Moon hampered the view. 1940 MST: viewed the star Sirius, 102X. Decided to try to see Sirius B (the "Pup Star") as Sirius was near the local meridian and bright Moon would reduce the glare from Sirius A. Viewed Sirius, 443X. After several minutes of trying, was unable to view Sirius B.
Fourteen years ago on 12 March 2005 I made my first observing visit to our "retirement land" in Oracle, Arizona, with a tent and LXD55-8"SC telescope. I posted a brief report on 18 March 2005.